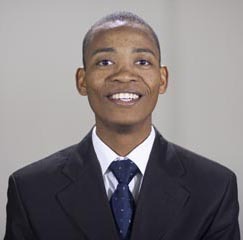 Loago Setswalo is planning to return to Batswana in the summer of 2012 to start a training school. My name is Loago Setswalo, and I am currently 28 years old. I was born in the small village of Shakawe, in the northwestern part of Botswana, Southern Africa. I had prayed for about three years to be trained in a Bible-based training school to be an evangelist for the Lord. The burden I had was that the truth which I had just received, most of the people in southern Africa did not know. We resorted to inviting American speakers, mostly from Hartland Institute, to our annual youth camps. Then I started thinking, How long are we going to depend on foreign speakers; why cannot one of us go to this college and train, and come back to train others? Although I desired to come here and be a student, little did I know that God’s plan was that I should be the man called to that work of training others. I have no doubt that God called me to be a student at Hartland College in Virginia. God performed a series of miracles to get me here and keep me here. I had no money for an airline ticket, but within two weeks God supplied it. It was a struggle for me to get a visa, but God did work, and I managed to get it. He also provided the sponsor for my training here. I made a commitment to God that if He would bring me to Hartland College, then I will go back to Botswana and start a training institution for Bible workers and medical missionaries. I enjoy every moment of my training in this college, although I have gone through a series of the most challenging trials of my life. At the end of the first term I spent at Hartland, I got seriously ill. I was admitted to the University of Virginia Hospital for about10 days. I was diagnosed with tuberculosis of the heart. These bacteria had caused an inflammation in the pericardium, which resulted in the formation of up to a quart of fluid in the pericardia cavity. There was almost five times as much fluid in the pericardia cavity as there should have been. It was only by the grace of God that I survived this deadly disease. They managed to drain the fluid and I received medication for it. The medications had deadly side effects. One of the effects was that I went from having good eyesight to being nearly blind, until the Lord provided me with the prescription glasses some months later. I lost my appetite. My family was also going through a challenging time during this crisis. I praise God that He has raised me up into good health. This year has been very peaceful, although there are challenges myfamily is currently going through. God has been working marvelously to get this project going. I thank you for your generous gifts and earnest prayers. An example of the agricultural program at Las Delicias—this will be used as a pattern for the school in Southern Africa. We have recently been offered land to use for the school, but we still have to go and see it to know if that will be where we will settle. Please continue praying for the work in Southern Africa, especially the school about to start in Botswana. God’s providence has been really preparing me for the work in Southern Africa. For my internship I went to Colombia, South America. I learned many things that will be helpful in starting a self-sustaining institution. The industrial emphasis I witnessed in self-supporting ministries of South America significantly impressed me. It has given me a way forward and wisdom about how we can start just with simple things. At Las Delicias Colombia, they have a large plantain and banana plantation. They also grow soy beans and other fruits and vegetables. The students work with the teachers in these places, and the benefits are excellent for the students and the institute. This method of agriculture is not only used to bring profit to the institution, but to educate the students on the correct principles of organic farming. When these students graduate they do not only know their Bibles, but have learned a trade that can be used to help them to be self-sustaining. 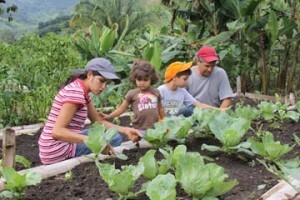 The agriculture program also serves as a model for the whole state of Quindío. The Department of Agriculture of the state constantly visits the institution to counsel with the agriculture directors. Some in the community and others from different organizations come there to learn how to make compost and grow organic vegetables. My plan is to go back to Africa and start something very similar; I have spoken to some of the directors at Las Delicias, and they are willing to come to Southern Africa to help me start the agriculture program. Grains being rolled in the Las Delicias food industry. The other thing that impressed me was the bakery industry they have there. They work with simple things. They only have one mixing machine and one main oven, but they use these to produce enough bread to supply the two restaurants that they own, as well as the campus, and sell some of it on Sundays to some small towns. 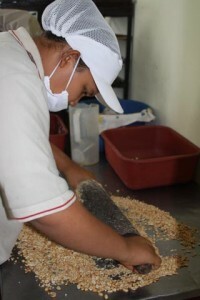 They also package some seeds, grains, flour and herbs to sell; and they produce granola, soy cheese and other things. The main purpose of the industries is to supply the health food stores that they have, which are located in the restaurants. In all of these industries, students are the ones running and working in them with a few staff members. The restaurants are located in the nearby city. The larger one serves vegan food to an average of 40 to 50 people per day. They also conduct health seminars and cooking classes on some evenings for the customers. Some of them regularly visit the campus on Sabbaths. The people at Las Delicias are faithfully following the Spirit of Prophecy counsel by using the health message as the right arm of the gospel. I want to establish a similar health outreach program in Africa in conjunction with the school. I know that many are dying without these truths that are so essential for their salvation. It is my prayer and desire to work hard and train young people who will take this everlasting gospel to every nation, kindred, tongue and people in Southern Africa. I have just finished my internship. After graduation in June 2012, I will be headed to Botswana to start the school project. Please pray for me.